The true outcome of this experience is focused on the development of life-skills such as confidence, motivation, social skills, working ethic, self respect and respect for others. We are working closely with Sail Training Ireland (The National Sail Training Charity) to develop our sail training program of voyages for youth development. The core focus of Brian Ború is youth development under sail. This will involve bringing young people to sea on 5 day voyages, living aboard as members of the “Trainee Crew” and learning to operate every aspect of the vessel. It is an incredibly effective educational tool and our vessel is the ideal environment. We align with and support the mission of Sail Training Ireland in this regard (see below). And we are committed to making it available to all young people regardless of their means, backgrounds or abilities. We will achieve this accessibility by developing a sustainable business model around the vessel including tourism, events and charters. 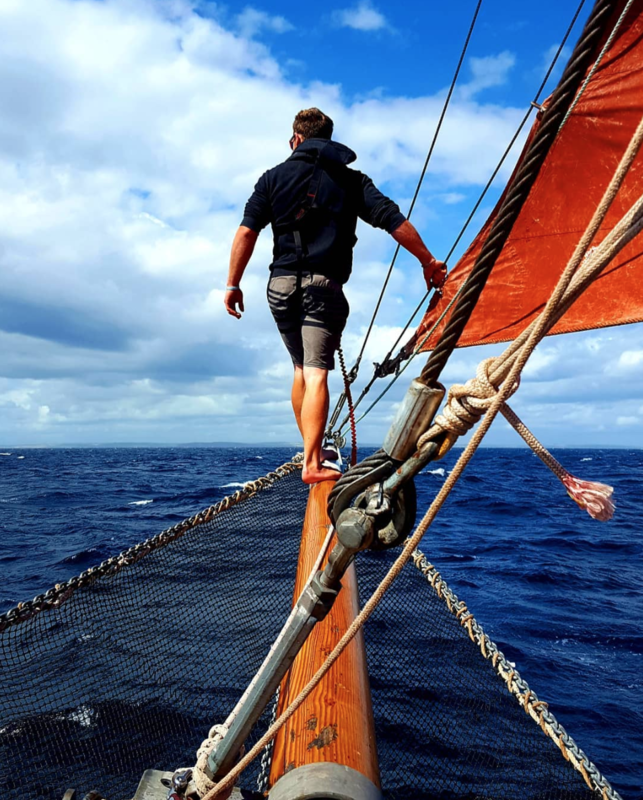 This will ensure that our sail training voyages can be offered at a very low rate and then co-funded through Sail Training Ireland’s bursary schemes so that no young person is denied this life changing opportunity. Or visit Sail Training Ireland for more informations.